We call it the “KROB” ramp. 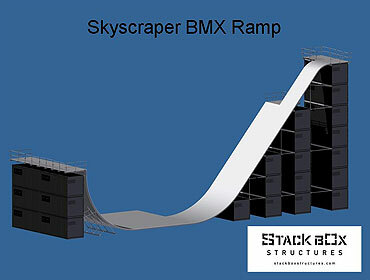 The ramp was designed exactly to the specs of X Games Gold medalist Kevin Robinson for his world record attempt at 27.5 feet of vert above the top of the 26.5 foot quarter pipe. 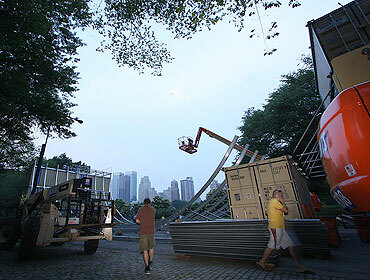 While Kevin achieved a world first on the StackBox Structures ramp, another record of note was the amazing location of this massive ramp in Central Park, NYC. Kevin Robinson became an instant fan of the StackBox because it was super solid and fast. We also built him two in runs… practice launch at 45’ and world record launch at 60’. Stay tuned for his next world record attempt!